President Trump made the statements as he signed his first veto on Friday. 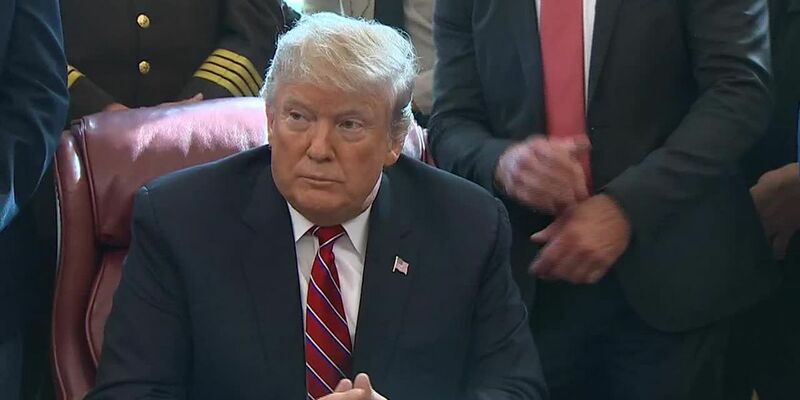 RICHMOND, Va. (AP) - A federal appeals court has heard arguments that President Donald Trump is violating the Constitution by accepting profits from foreign and domestic officials through his hotel in Washington. The attorneys general of Maryland and the District of Columbia say government spending at the Trump International Hotel violates the Constitution’s emoluments clause, which bans federal officials from accepting benefits from foreign or state governments without congressional approval. But Trump's lawyers told a three-judge panel of the 4th U.S. Circuit Court of Appeals on Tuesday that the plaintiffs lack authority to sue the president. They also said Trump hasn't violated the emoluments clause because it only bars payments for services he provides in his official capacity. They are challenging a lower court's decision to let the lawsuit proceed.